How will HSR get into downtown London? London has an uncomfortable relationship with railways because it is a car-centric community. The CN and CP lines that pass through the City have a combination of grade crossings with barriers and, on heavily used roads, overpasses. Longer trains, used by both freight railways in pursuit of operating efficiency, result in frequent traffic delays at grade crossings. When stopped they can block several streets and this is both an inconvenience and an impediment to emergency services such as ambulances and fire trucks. Although the problem is acute and chronic there has been no concerted attempt by the City, the freight railways or our two senior levels of government to study and fund a permanent solution. With up to 30 trains a day a new high-speed line into London could not use one of these existing rail corridors because of increased conflict with vehicle traffic and the fact that the freight railways do not currently permit the use of overhead power supplies for electrically propelled trains. Nor would they relinquish valuable track capacity. They own the tracks, not the taxpayer. A new, 50metre wide rail corridor through the dense suburbs of east London will be required to get to the VIA Rail station on York St., the planned terminus of the Kitchener to London section of the HSR service. Three possible solutions are available, all of which will require an approximate 4km long ribbon of property expropriation and demolition: trenching, tunneling or an overpass. The approach to the VIA station must be relatively straight to avoid reducing the average speed of the train and limit noise known as “wheel squeal” that can result from tight track curves. 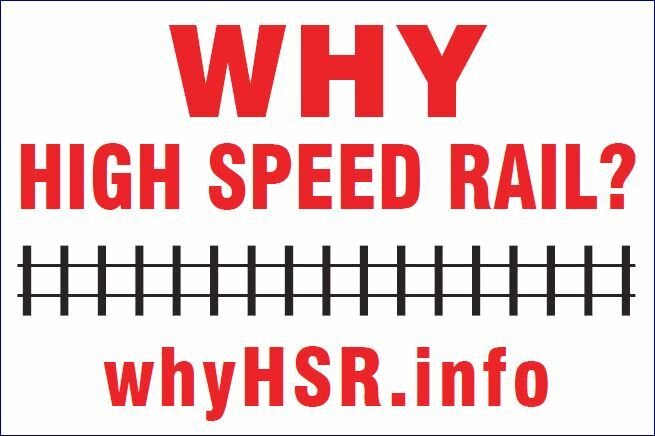 The Special Advisor’s Report on HSR makes no mention of the socially disruptive, technical and financial challenges of the route through suburban London. Locating the HSR station outside the downtown core will negate most of its claimed economic and social benefits. (See FAQ on London’s “Shift” plan). This is further justification for the Environmental Assessment to include other passenger rail service delivery options, not just HSR. ← Why not go the long way and take a few minutes more?